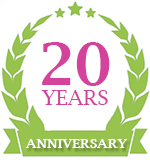 Ana Nursing has been providing quality nursing staff to residential and nursing homes in Sutton for over twenty years. Our home nursing agency in Sutton, Surrey is dedicated to providing friendly and quality care assistants to meet our clients’ needs, as we understand each care need is different. If you or someone you care about requires home care and could benefit from our services, get in touch.